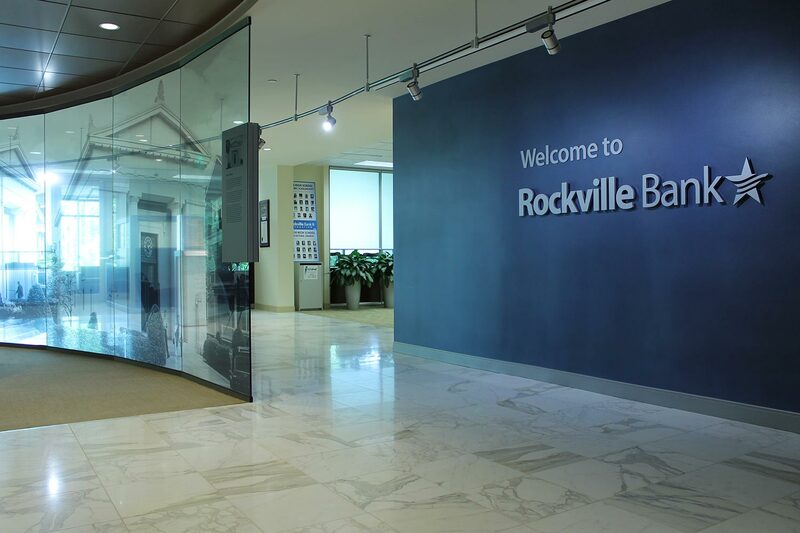 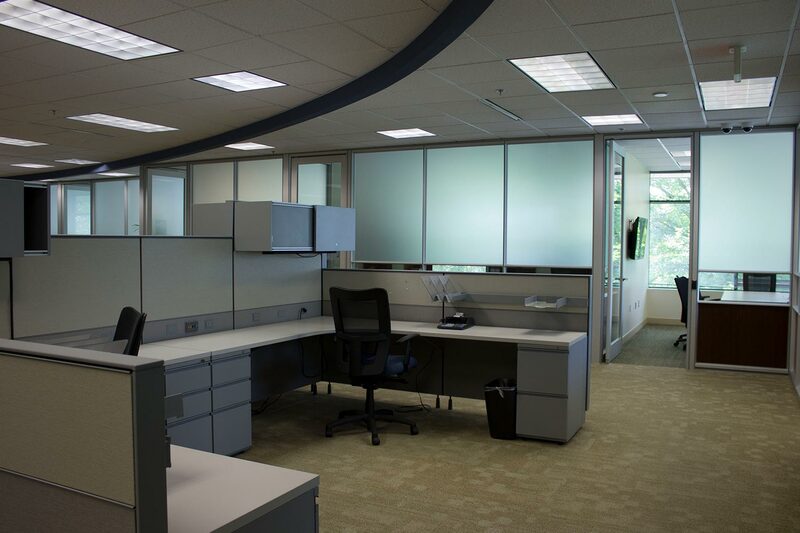 This interior fit-out of over 27,000 square feet houses Rockville Bank’s Corporate Headquarters. 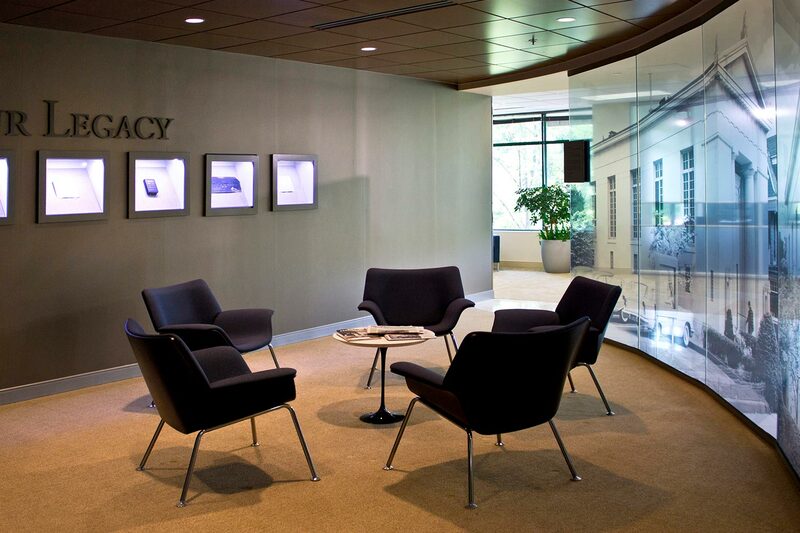 Intended to showcase the corporate brand of “High Touch-High Tech”, the lobby is articulated by a large branding wall and multi-media technology wall with streaming multi-media content. 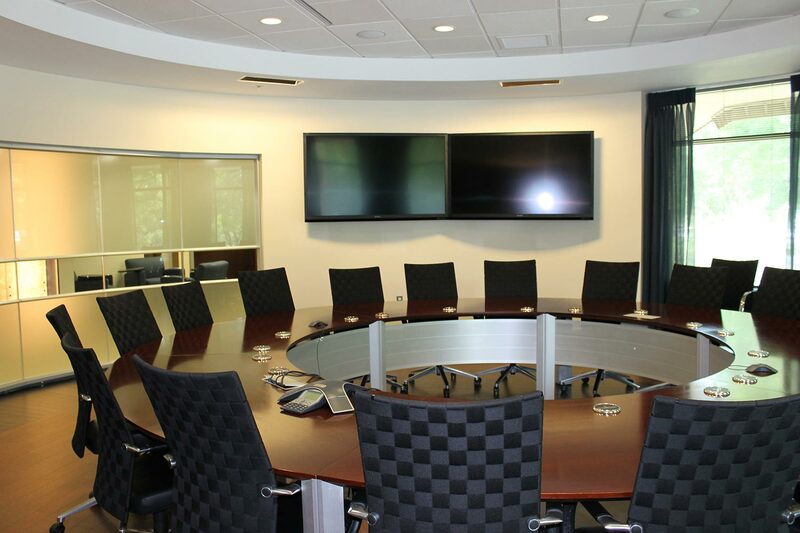 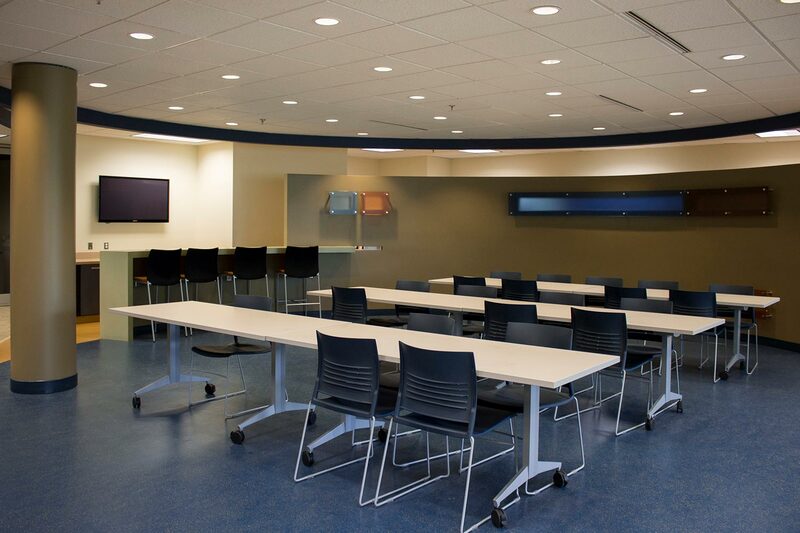 In addition to the numerous executive and support staff offices, the space incorporates a numed of “touch-down” type meeting areas as well as a large and expandable multi purpose lounge space to house the entire corporate headquarters staff.